With millions of little decisions to make this time of year, sometimes it’s just nice when someone makes one for you. (My kids would argue otherwise!) So as a gift from me to you, I’ve asked a handful of my favorite food bloggers to share their best, most favorite Thanksgiving stuffing recipes and the results are diverse and wonderful! There’s a gluten-free and vegan stuffing recipe, a southern classic, and even one of my one of my own personal favorites in the mix. Now you don’t have to scour the internet for stuffing recipes and you can focus on more important things – like some early holiday shopping for yourself, perhaps? 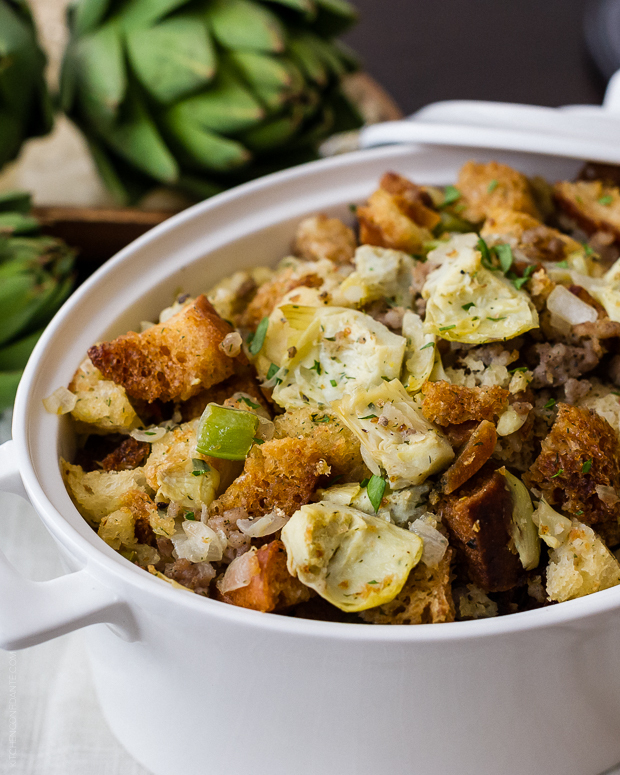 Just one look at the ingredient list in Liren’s Artichoke Sourdough Stuffing with Sausage will have you and your guests hoping you doubled the recipe. Often, traditional sides can get lost on the plate, but not this one. Liren notes that she pays homage to her Northern California roots by adding artichokes and sourdough bread, along with local sausage – pretty much all my favorite ingredients. Doesn’t it look spectacular? At the heart of Sara’s cooking is her family, and specifically her three daughters who have ranged from terribly picky to terrific eaters. So I knew one of her favorite recipes, Southern Cornbread Dressing, would be a hit with many families. In keeping with her practical approach to cooking, Sara loves this recipe because you can assemble it up to a day in advance, which takes the pressure off on the big day. (Yes, please.) And the homemade cornbread in the recipe makes it extra delicious – she tells me that even the stuffing haters in her family happily devour this one. Related: 9 irresistible, creative pumpkin pie recipes that are anything but basic. Our food team often turns to Jessica when looking for wholesome and delicious plant-based recipes for the vegetarians and vegans in our lives. We even featured her in a bloggers-to-follow post earlier this year. 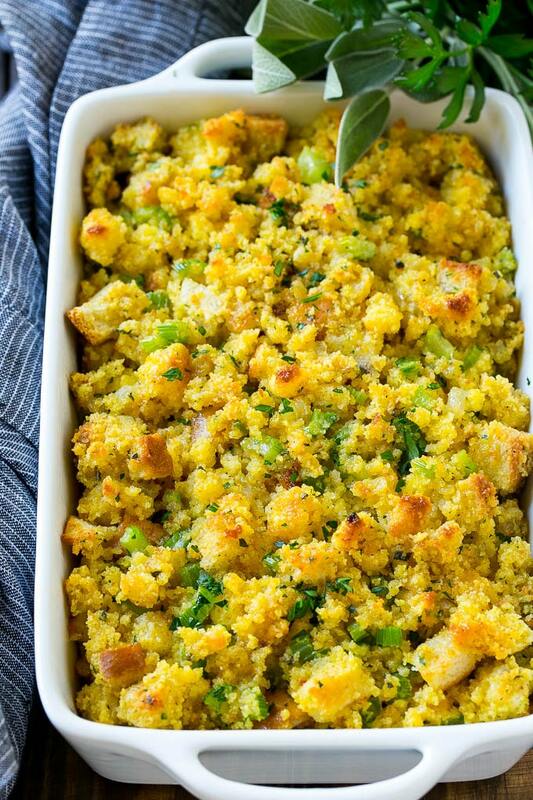 Her Gluten-Free Cornbread Stuffing recipe smartly takes advantage of gluten-free cornbread muffins and transforms them into a savory stuffing dish that’s big on herbs and flavor. While this recipe is written for vegans, you can absolutely substitute a real egg for the flax egg if desired. 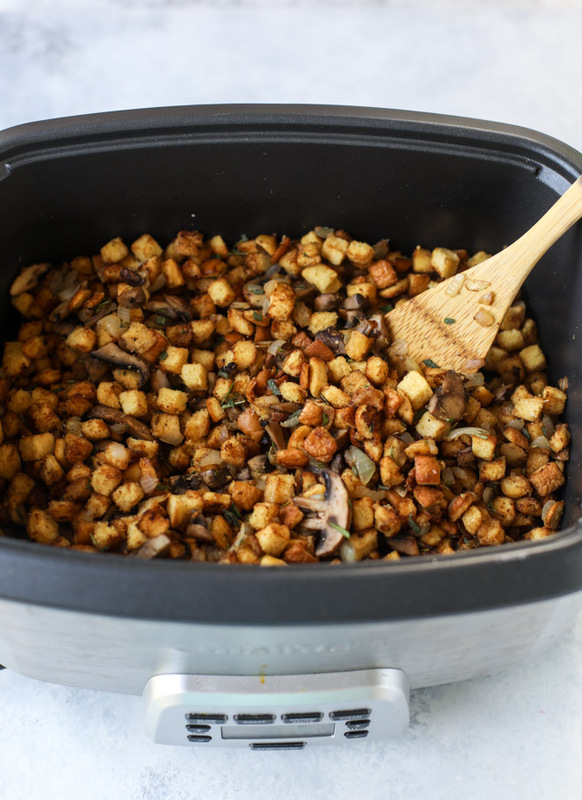 I’m a long fan of Jessica’s recipes which are indulgent yet totally wholesome, and her Slow Cooker Stuffing is a perfect example. 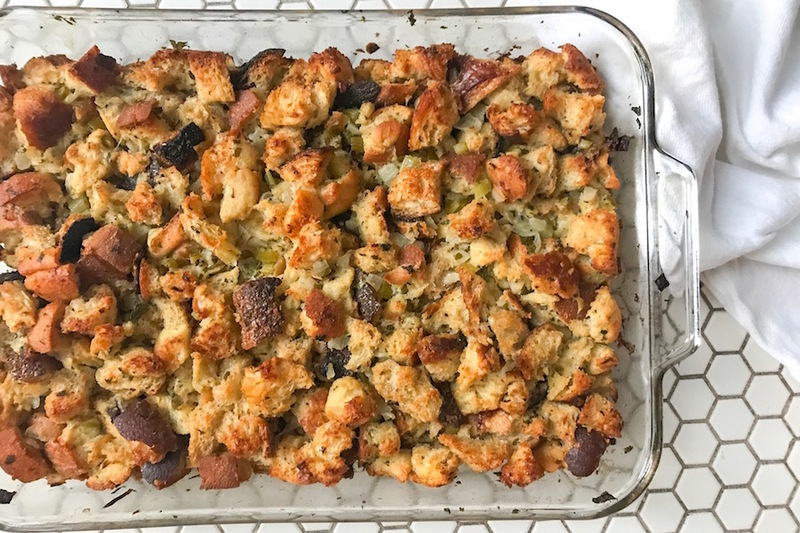 Jessica told me this dish is so easy and “it tastes just as great as the classic stuffing I grew up with,” and that’s reason enough for me to include it here! She also loves that it’s “set and forget,” eliminating some dishes on such a busy day in the kitchen. Note that her slow cooker has a sauté function, which she recommends briefly for the start of the recipe. But even if you have to use a pan before assembling in the slow cooker, the rest of recipe is hands-free — and oven-free. 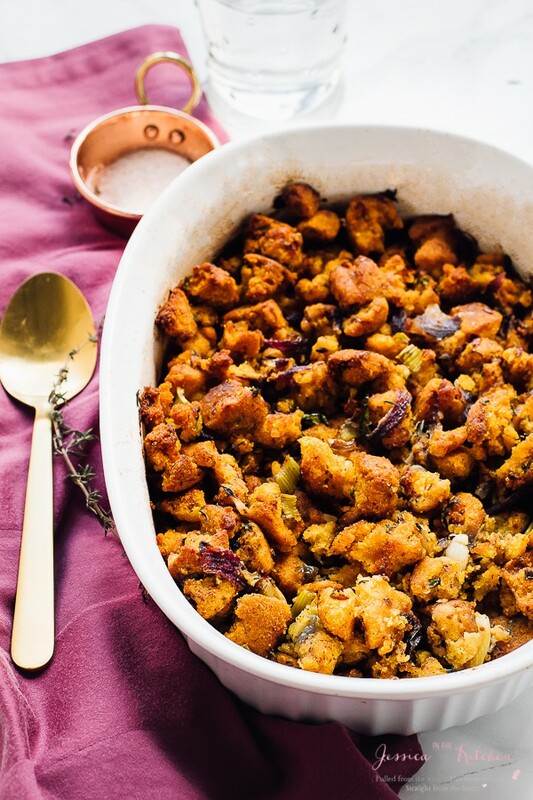 Okay, so this particular favorite stuffing recommendation comes from…yours truly. (And I am one of your favorite food writers, right?). I tend to be a purist when it comes to the Thanksgiving dishes, which is why I wanted to include this “Simple is Best” Dressing, a beloved family dish. Classic recipes tend to be just that because they work. And this is no exception. I prep mine the day before Thanksgiving and parbake it — make-ahead instructions are included in the recipe. And best of all? 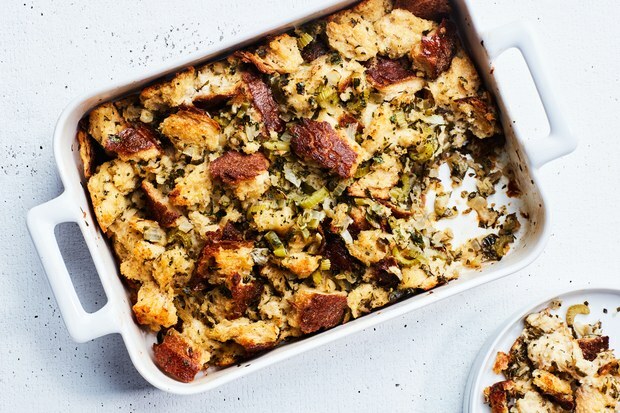 I can tell you this Thanksgiving stuffing recipe is officially little kid, parents and in-law approved.